This many toned marble from China, because of its veined structure is ideal for naturally elegant indoor spaces. The green vein is unique to every slab, and adds a vibrant and natural tone to any room. 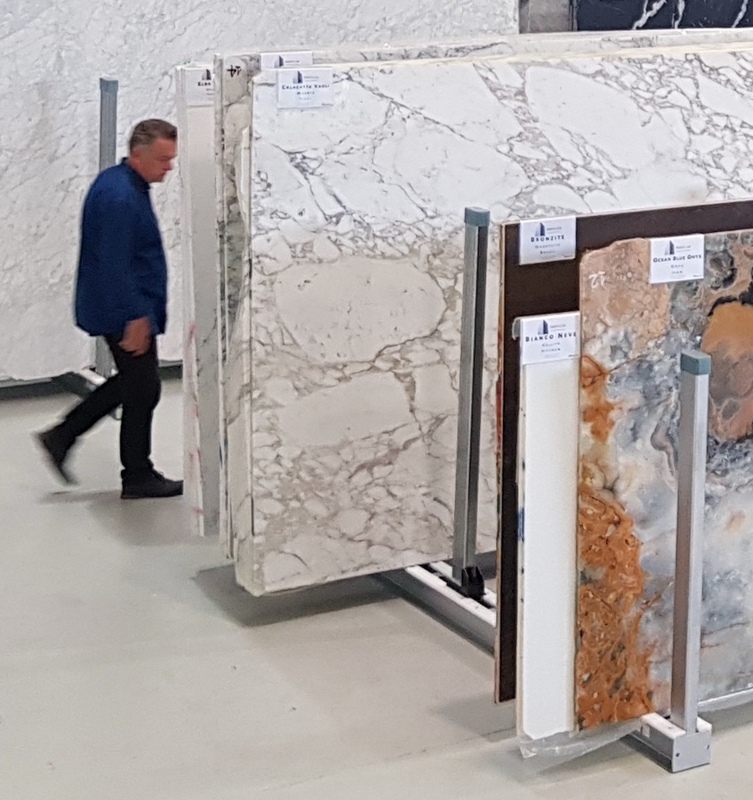 We have seven new slabs of Irish Calacatta arriving within the month direct from our principal supplier Bagnara, Italy where they have been cut to size and given a honed finish. The white breccia’s pattern from Brazil lends a distinctive touch to every surface. 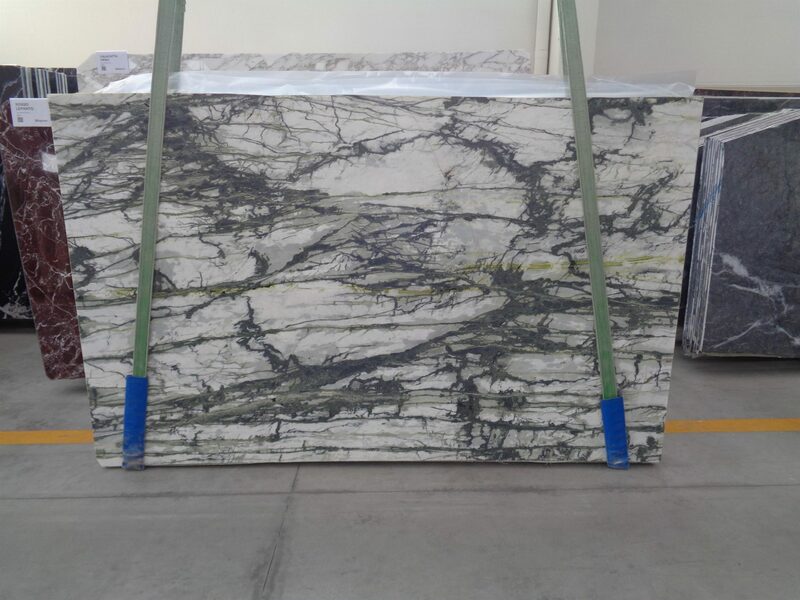 Moreover, due to its cloudy pattern, the marble is particularly suitable for large-area applications, inside and partially outdoors. 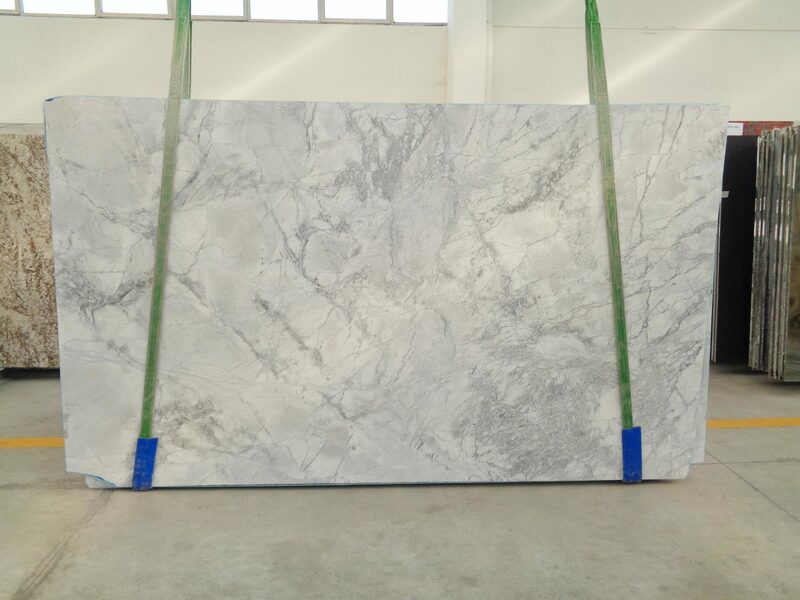 We have had many slabs of Super White pass through our doors, and it has been in high demand since our arrival in Auckland. These ten beautiful, satin finished slabs are ideal for any internal space seeking a sleek, bright touch of quality. Photographed in Italy this week, both of these new products will be coming to us bookmatched, as indeed many of our marbles are. We are often asked by clients viewing the warehouse what a bookmatched product can offer. 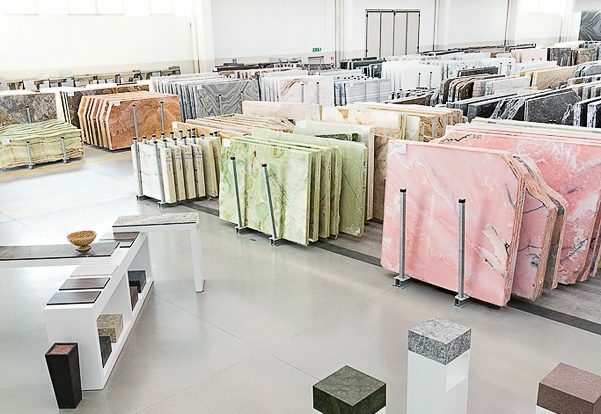 Every slab we sell is is distinct, some more subtly grained while others are vividly expressive yet, no matter your preference in pattern, a recently popular trend towards bookmatched marble – the use of two mirror-image marble slabs, set side by side on the same surface like the pages of an open book – is the material at its most statement-making. Bookmatched slabs composed in this way take the random landscape of the natural veins in the material and transform them into distinct, symmetrical designs. No matter if you are a home owner, architect or designer feel free to come into our warehouse in Rosedale to view these new products arriving by the end of the month.